- Decorative Collaterals used - Cameras, CDs, Batteries, Shoes, Calculators, Selfie Sticks, Keys, Goggles, Headphones, Speakers, Cassettes, Measuring Tapes, Watches etc. With the support of our technical facilities, we are engaged in offering Counter Branding Service. To render this with perfection, we have hired with us a skilled and highly assiduous team of service delivery executives who work with perfection. Our offered service is known for its flexibility, reliability and timely execution. We are Offering Inshop Branding Service. In Shop Branding Services are one the highly reliable, capable and highly efficient services of our firm which are procurable under fair and sound business norms of our firm. Moreover, we are engaged in delivering with a classified assortment of these services at a highly fair and affordable market price which sits exactly in convenience with our customers. So as to acquire extreme level of client trust and satisfactions, we are involved in Branding campaign Design development to our valuable customers. Imparted and provided by one of the adroit executives, these services are hugely recommended due to their accuracy and customer centric approach. Due to our expertise of this realm, our firm is involved in rendering Branding and Marketing Services. These services are completed by experts, who have opulent proficiency of this realm. Owing to high reliability, promptness and hassle free completion, these services are extremely admired in the market. 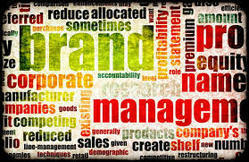 We are actively occupied in providing Brand Activation services. Our services are finished by industry known experts who employ the advanced technology. In addition, our services complete under the rigorous leadership of industry professionals. In addition, we present these services at affordable prices. - Our offered array of services comprise of reliable and efficient Corporate Branding Design Services. These services are demanded by the corporate sector for the purpose of ensuring the promotion and publicity of a corporate brand. These design services are acclaimed for their timely provision. The designing services provided by us are affordably priced. Never underestimate the image and branding potential of something as simple, yet imperative, as your business card and stationery design. Stationary has the power to impact the character and tone of your company and create a visual marker that will linger in people’s minds long afterward.